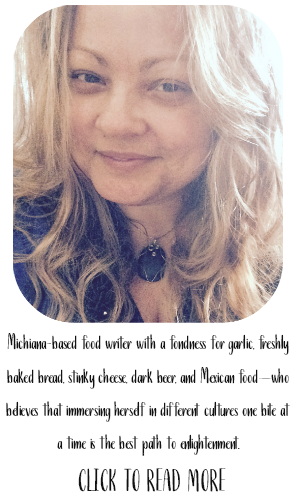 A while back, I was one of the fortunate bloggers to be contacted by Diana of POM Wonderful. She asked me if I'd like to try POM....um, YES! I actually had always wanted to try it...don't know why I hadn't gotten around to it yet. Just one of those things, I suppose. When Diana told me she was going to get a case (A CASE!!) shipped out to me, I was super excited. I think this may have been the first "promotional"-type item I was offered as a blogger...and I felt cool. I told hubby.... see, I told you this blogging thing was awesome ...he nodded and smiled. I probably sounded like a gushing-goofball when I thanked Diana and told her I'd let her know as soon as I posted something about POM. She was very kind and though she would no longer be in this position once I posted, she told me to send my info along to Molly and Janny who would be handling all the POM Blogger fun...so, Molly and Janny I am sorry it took me so long....I didn't forget! 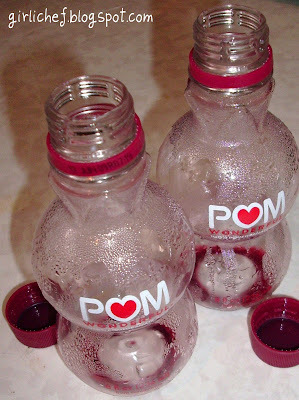 When the case of POM arrived, the first thing I did was crack one open and take a big swig....WHOA...tart! But you know what? Addicting. I keep drinking and actually realized I really enjoyed the tartness of the juice. It is sort of reminiscent of cranberry juice, but with more punch to it. I ended up drinking a couple of bottles...the rest survived the move with us...and I finally decided it was long past time for me to figure out what I actually wanted to make with it. 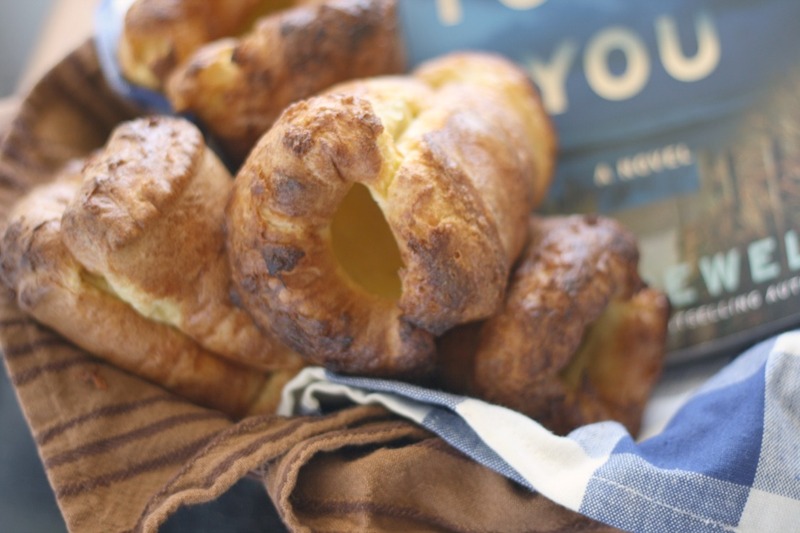 I browsed the POM website and was amazed by the number of recipes posted there! 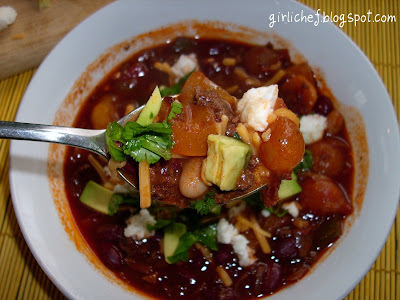 I found lots that I wanted to try (of course) and decided I wanted to make chili with it. 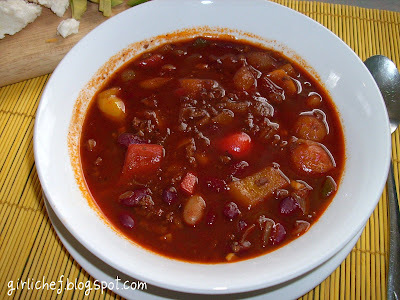 I liked a chili recipe I saw on the site, but decided to make my own chili recipe somewhat inspired by the one there. First, brown your ground turkey in a dutch oven. 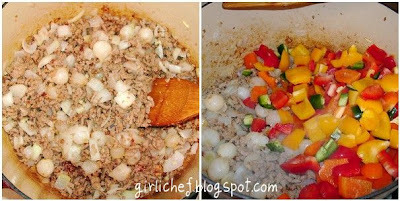 Add olive oil, then both types of onion and garlic and stir occasionally for a couple of minutes, until just starting to soften. Add bell peppers and jalapenos. Cook for a few more minutes, stirring from time to time. 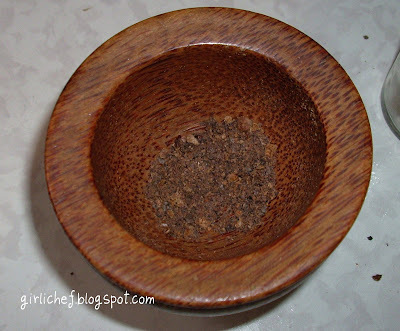 Grind up your allspice in a mortar. Add it to the pot, along with your star anise, cinnamon, chili powder, cumin, black pepper and bay leaves. Stir around for a minute or so, letting the spices bloom. Add tomato paste and stir it in good, letting it cook for another minute or so...this will cook down that tomato flavor and make it nice and sweet. 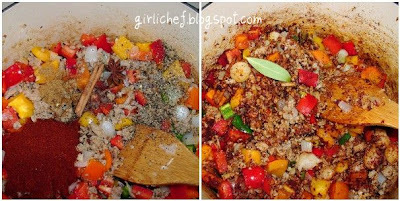 See all that gorgeous color on the bottom of the pan...it is NOT burnt! It is flavor...and it has been building up the whole time you've been adding more ingredients. 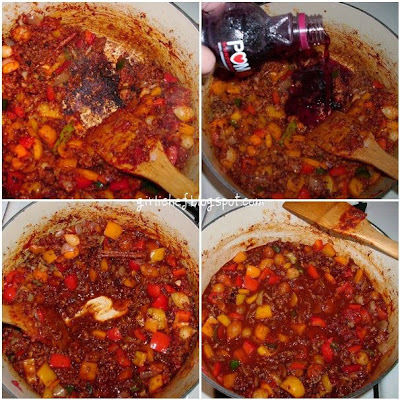 Add the POM to the pot, stirring up the fond (brown bits) from the bottom as you go along. Let it cook down for another couple of minutes. 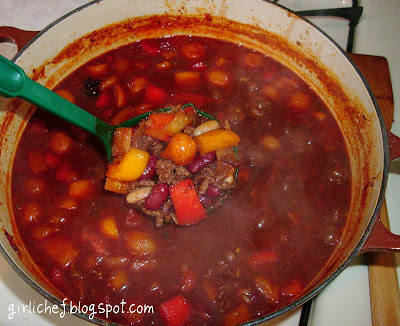 Now add your broth/stock to the pot, followed by the beans. 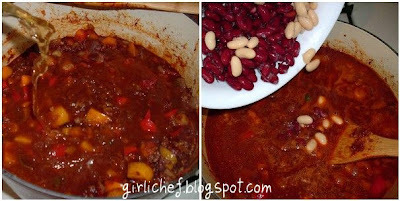 Bring to a boil, then reduce heat to a simmer and let it cook, partially covered for about 20-30 minutes. Remove from heat and let sit for a bit to cool down. 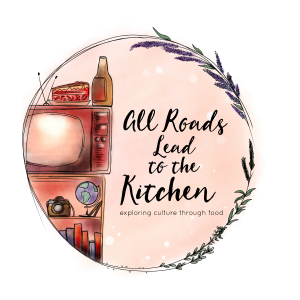 Discard cinnamon stick, star anise and bay leaves. Season to taste with salt, if you think it needs it. Garnish with your favorite toppings. 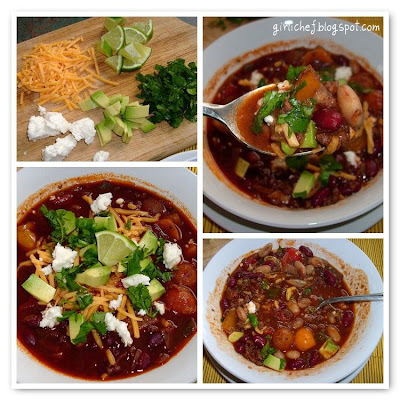 I love to add garnish...it brings a note of brightness to compliment the earthy flavors of the chili. I used two types of cheese (have I ever mentioned how much I love cheese? ): shredded cheddar and crumbled queso fresco, avocado, cilantro and a few squeezes of lime. 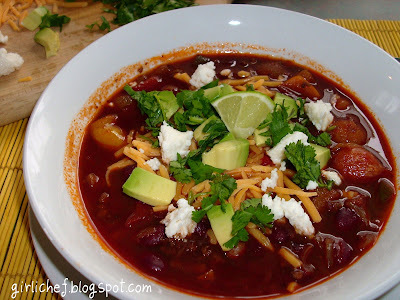 This chili is both sweet and spicy at the same time. 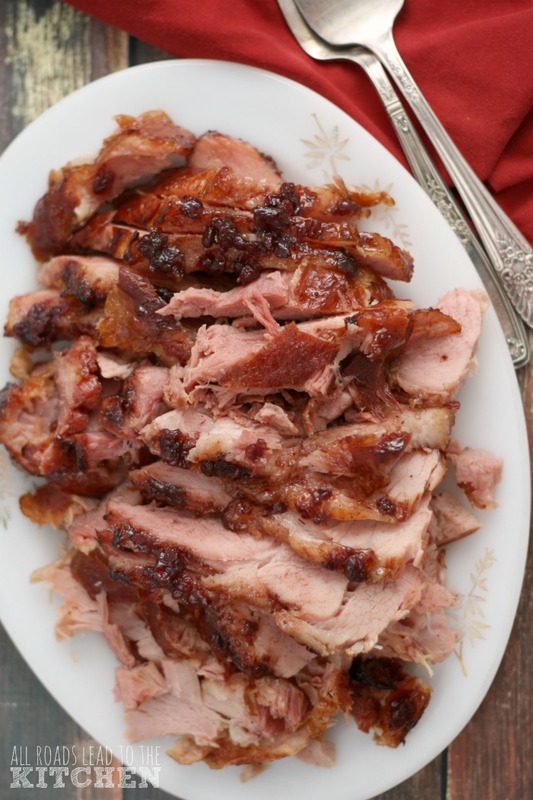 The pomegranate and the spices add a sort-of warmth as well as sweet....so it's not a cloying sweetness. The jalapenos with their seeds & ribs and the chili powder bring that underlying heat...you know the kind...it makes your nose run a little while you can't stop yourself from wanting more. 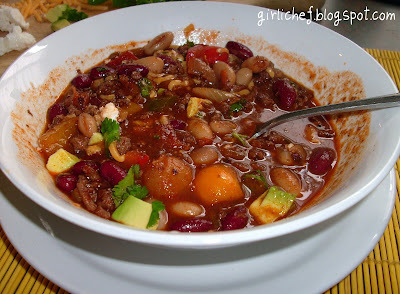 I like to use big, rustic cuts for chili...look at those large chunks of vegetables paired with the gorgeous beans...oh yeah. 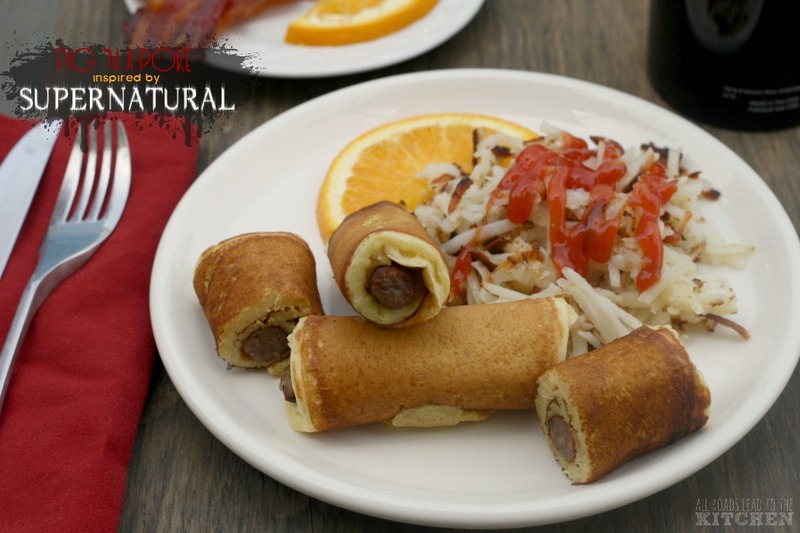 It is a feast for the eyes and the soul...as well as being satisfying to the tummy. Do you know that some cultures in history believed the Pomegranate held profound and mystical healing powers? I believe it! 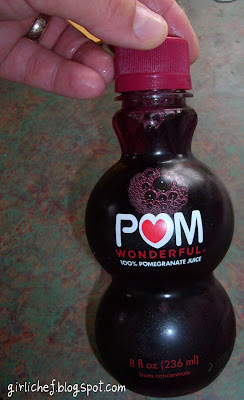 I want to say thanks again to the folks at POM Wonderful. 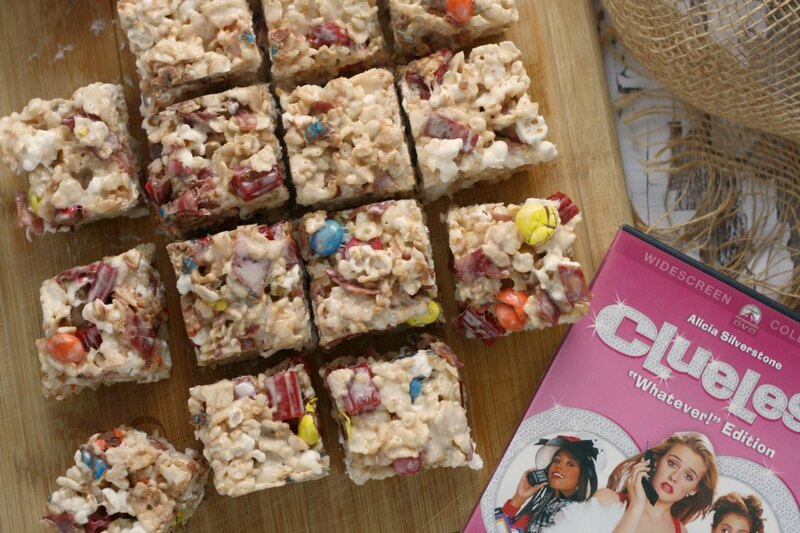 I really enjoyed getting to sample your product...and I will definitely buy it on my own. If you don't believe me, just see what I do next...I'm going to send this over to Deb at Kahakai Kitchens for Souper Sundays, too!! !